Getting in shape can be expensive with all the pricey exercise class fads and fancy gear. But it doesn’t have to be. There are some gyms out there where you can get the benefits of working out without draining your wallet. If you are looking for a place to work out that won’t break the bank, check out these deals from the nation’s most popular fitness centers. The notoriously colorful Planet Fitness is spacious and has ample equipment at it’s numerous locations across 48 states. Planet Fitness prides itself in being the “judgement free zone,” or a gym where the occasional athlete will feel comfortable navigating themselves around. According to the New York Times, Planet Fitness can be summed up as a “gym for people who don’t like gyms.” It also offers weekly aerobic and cardio classes to work with your busy schedule. There are a few different membership options at Planet Fitness. A Black Card member pays a $10 start up fee, and a proceeding $19.99 a month for a minimum of 12 months. That will run you $249.88 a year, however it comes with a few enticing benefits. The Black Card membership has reciprocity at any location across the country – so working out during a beach vacation is a possibility. With the card, you are granted unlimited use of massage chairs and tanning beds, 50% off of cooler drinks, and you can bring one guest per day for free. If you’re planning on recruiting a gym buddy to motivate you, this might be the membership for you. Planet Fitness also offers a No Commitment membership, which costs $5 to sign up and $10 every month. It’s really cost efficient, and you do have the option to drop out of the offer at any time, so it is a good way to get in shape for the summer months. The Burn Calories…Not Cash offer is the most standard of the three. With a $20 start up fee and $10 a month for a minimum of 12 months, it will cost a flat rate of $140 for the year. 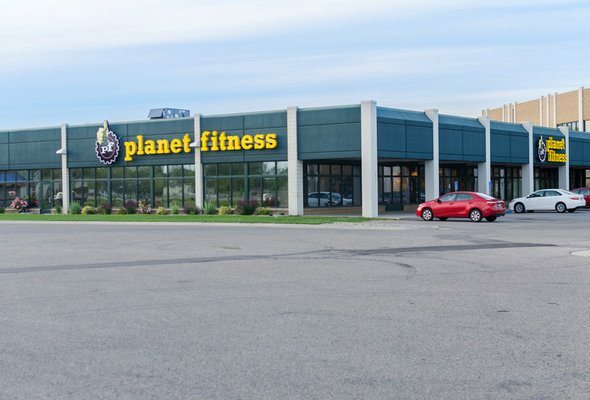 The membership offers at Planet Fitness have very specific deadlines and expiration dates, so before you sign up, be sure to call a location near you to ensure that you’re getting the best deal possible. Gold’s Gym facilities across the country are known for their top-of-the-line equipment, which has led to their generally positive image across consumer reviews. If there is a location nearby, don’t be afraid to stop in and explore the seven-day Free VIP Pass, which gives you free access to their facilities for a week before you make any commitment. Although there is no monthly commitment rate, the two plans Gold’s Gym offers can be a little pricey for anyone less than a gym rat – Option 1 has an initial cost of $149.99 with an additional $29.99 a month, for a total of $509.87 a year, while Option 2 has a down payment of $49.99, but is $39.99 a month, coming in at $529.87. On the upside, if you promote Gold’s Gym on social networking sites or refer members, you can qualify for a rewards card. Perks include free personal training sessions, depending on the location. 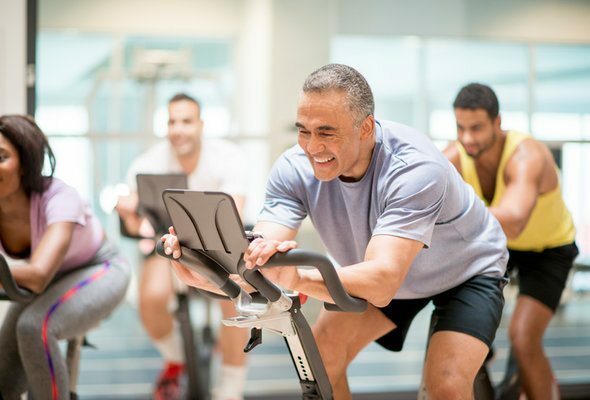 These fitness centers are oldies, but goodies. Their membership rates depend on the age of the participant, with no down payment. Young Adults (aged 16-25) are $35.00 a month, or $420.00 a year, while Adults (anywhere from 25 to 65) is $48.50 a month or $582.00 a year. They’re also one of the only facilities to offer extremely inexpensive day trip trials for only $6.00. 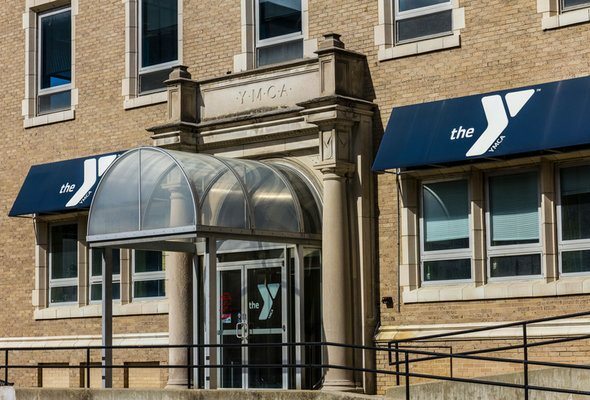 Their flexibility, simple schedule and inexpensive classes have helped land them on on a top ten list of Best Fitness Centers in the country. Now that you now the three best gyms for your wallet, look into which option is most convenient for you to get to regularly. You should also keep an eye out for any promotional deals that these gyms are running. If none of these offers seem appealing to you, don’t forget that there are plenty of ways to get exercise for free – like with outdoor jogging, morning yoga or anything recreational, like backyard volleyball. Depending on how fitness-friendly your city is, you may have plenty of company. A big part of any fitness program is also fueling your body with healthy and nutritious foods. If you’re trying to find a way to fit a gym payment into your budget, consider consulting a financial advisor. These money experts aren’t just for the wealthy. They can help you assess your finances and make smart adjustments to meet your goals, like affording a monthly gym payment. To make finding one as simple as possible, we created a matching tool to pair you with financial advisors in your area. First you’ll answer a series of questions about your situation and goals. Then the program will narrow down your options from thousands of advisors to up to three registered investment advisors who suit your needs. You can then read their profiles to learn more about them, interview them on the phone or in person and choose who to work with in the future. This allows you to find a good fit while the program does much of the hard work for you. Emma Giebler Emma Giebler is a freelance writer who covers a variety of personal finance topics. Her expertise includes homebuying and saving money. Emma graduated from Syracuse University.